During this workshop, you will discover and practice the Goal Mapping method and you will understand why and how it works. We will help you to identify your wishes and objectives and how best to get there. What are the actions to take, what are the ressources to activate? 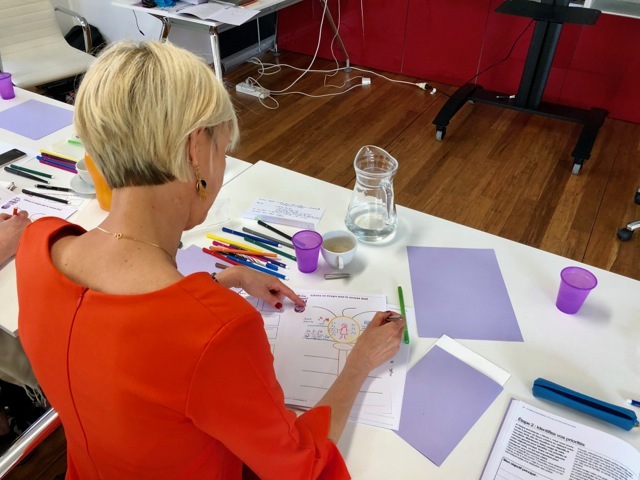 After the workshop, you leave with your personal goal map, a real command for your sub-conscious and a roadmap for the start of new fulfilling activities. You will be able to use the new Goal Mapping tool in the different areas of your life. Training day starts at 9:30 am and ends at 5:00 pm. For businesss the price is €130 VAT excluded. For the couples: the second person is at half price.